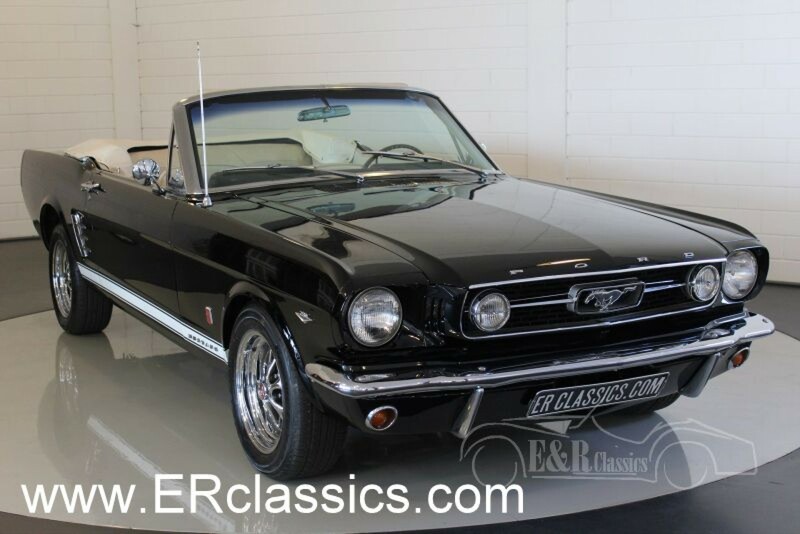 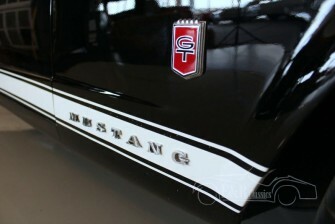 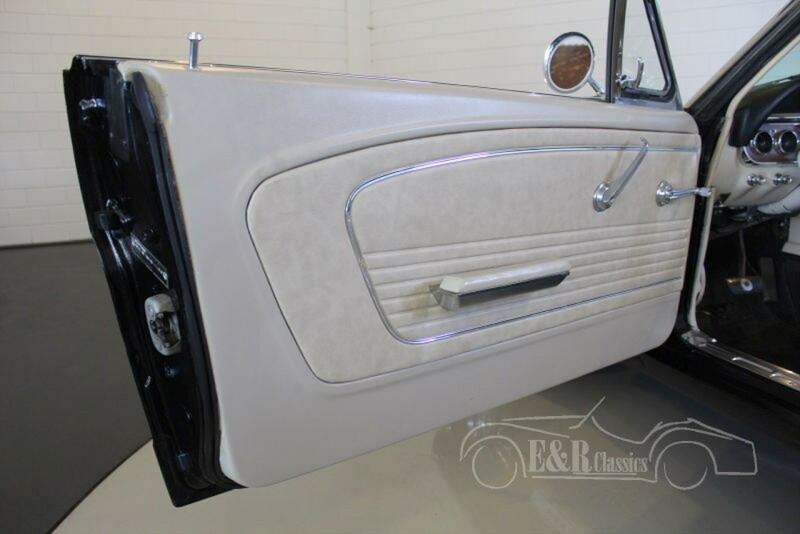 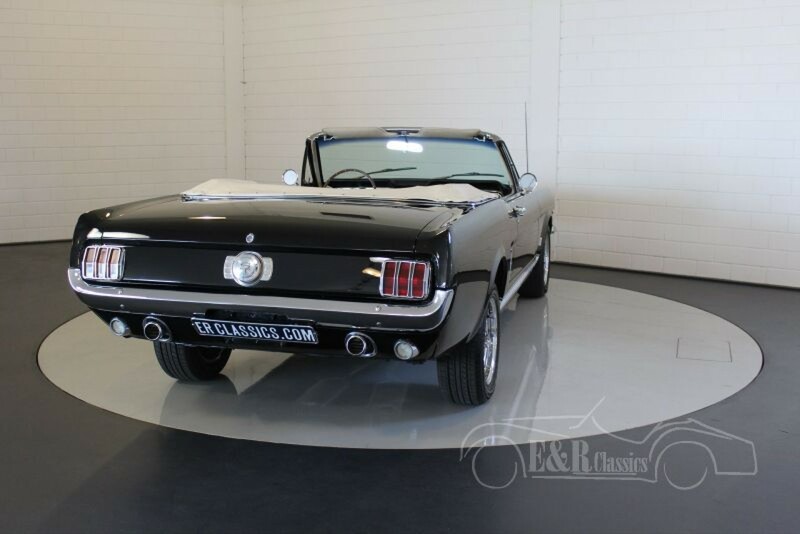 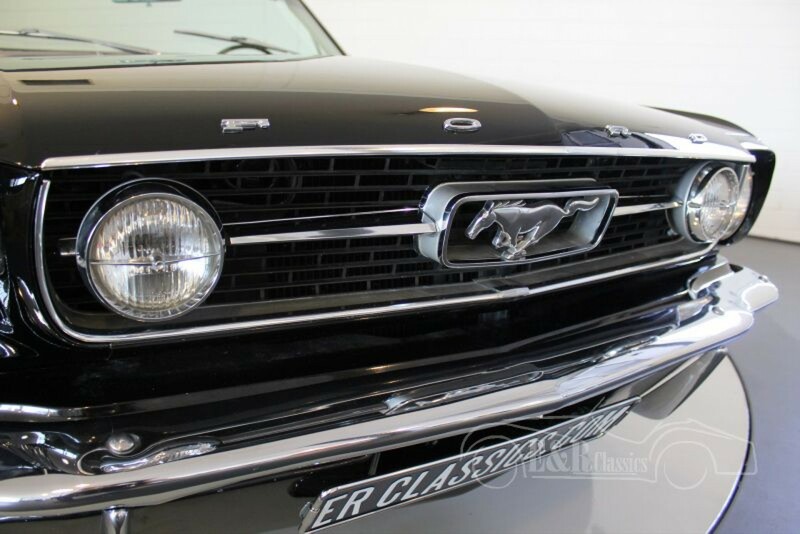 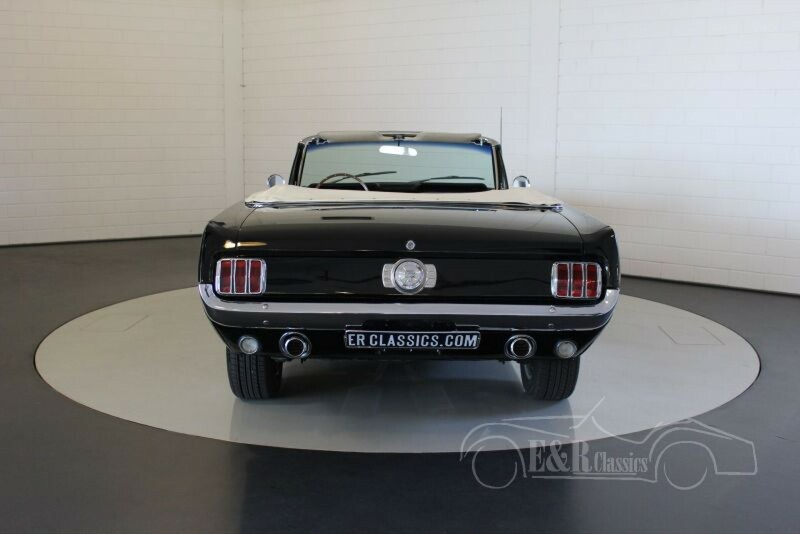 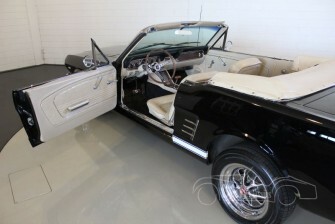 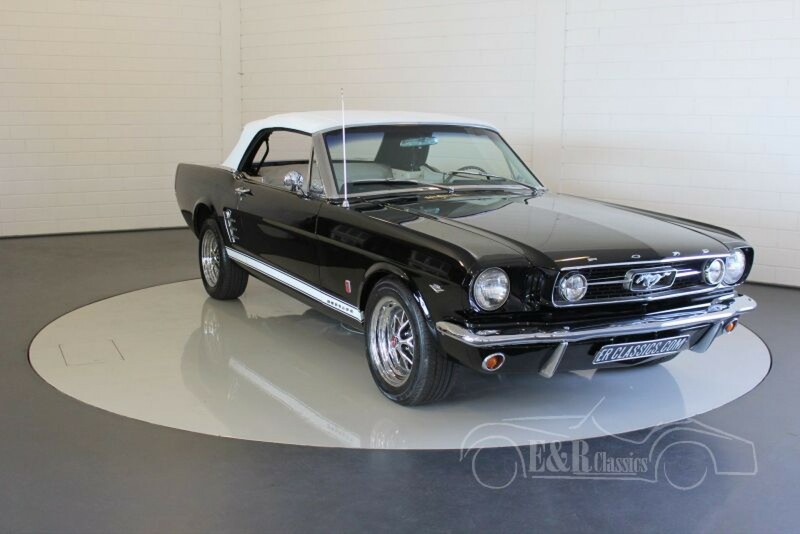 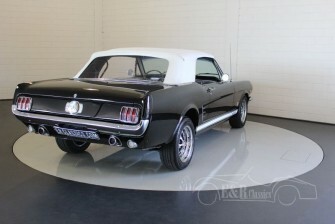 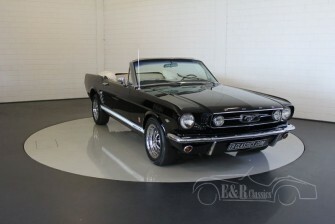 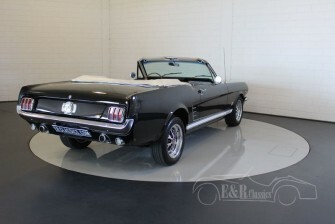 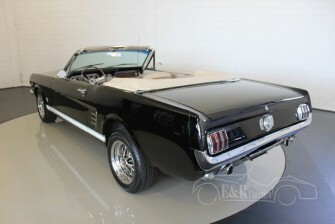 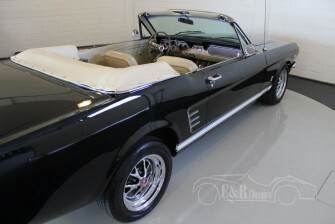 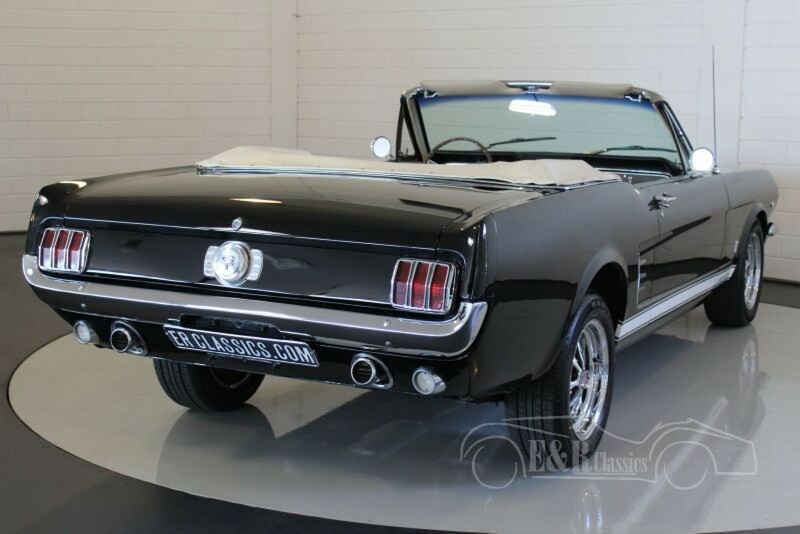 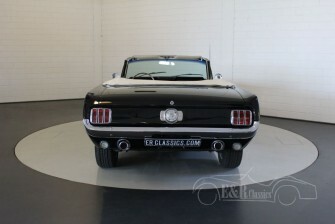 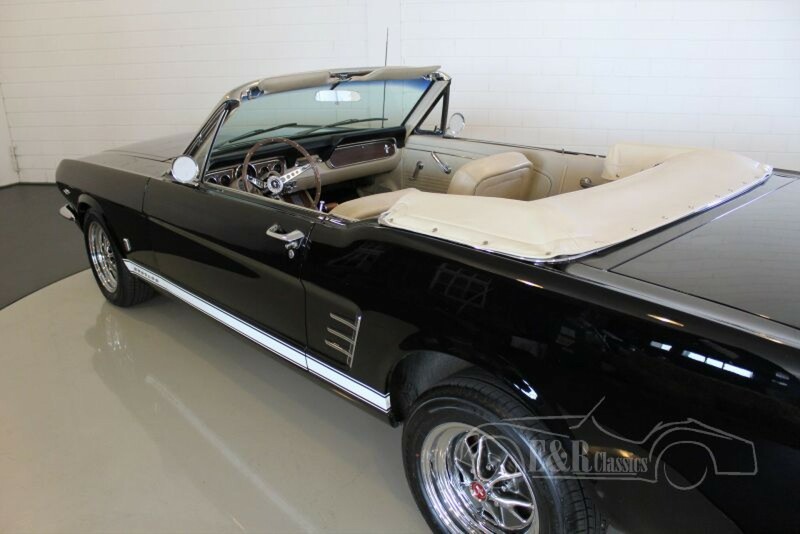 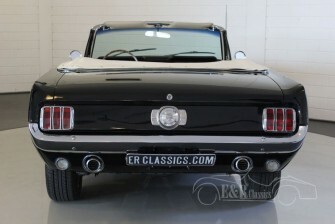 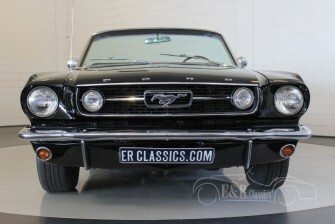 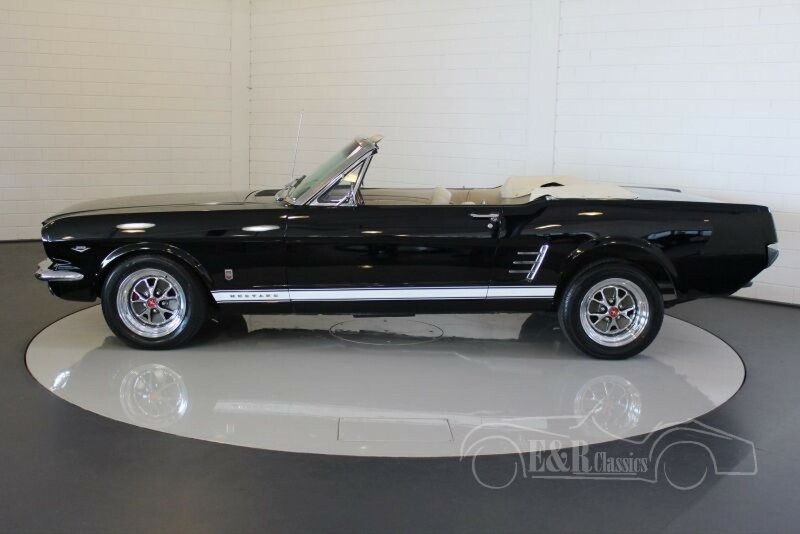 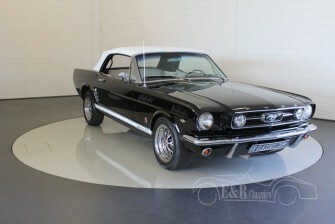 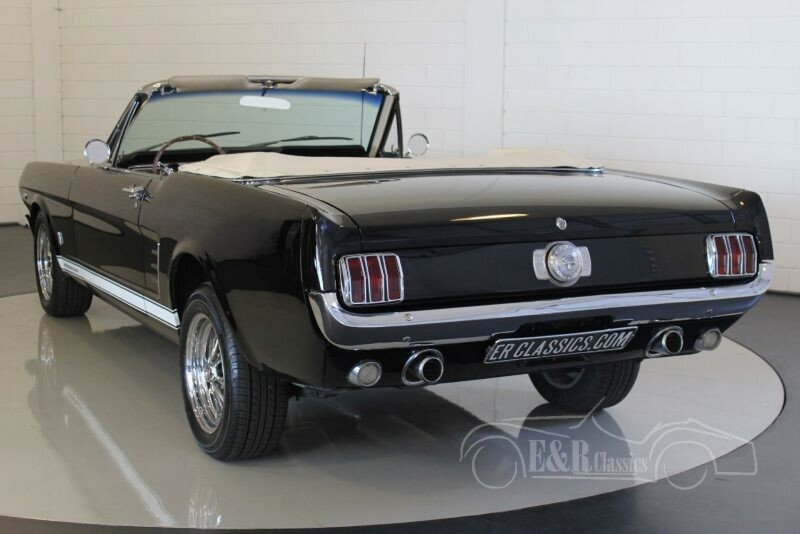 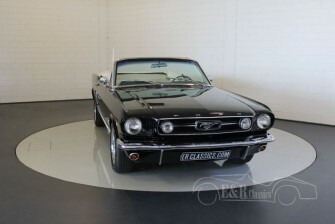 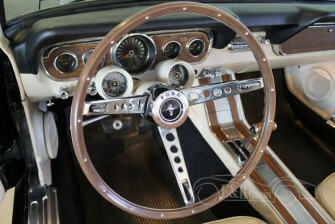 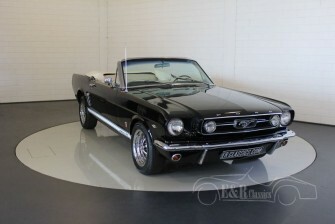 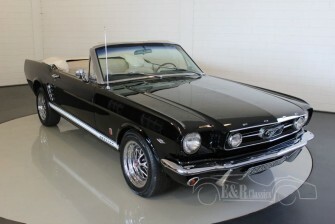 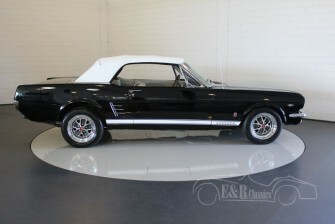 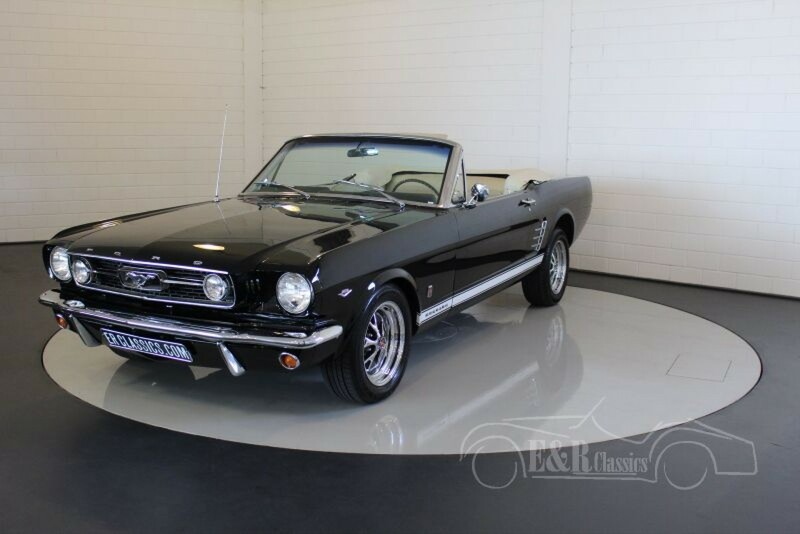 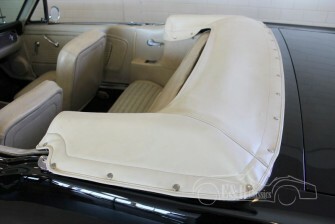 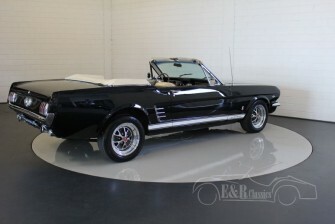 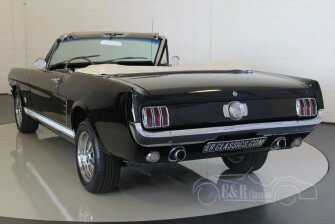 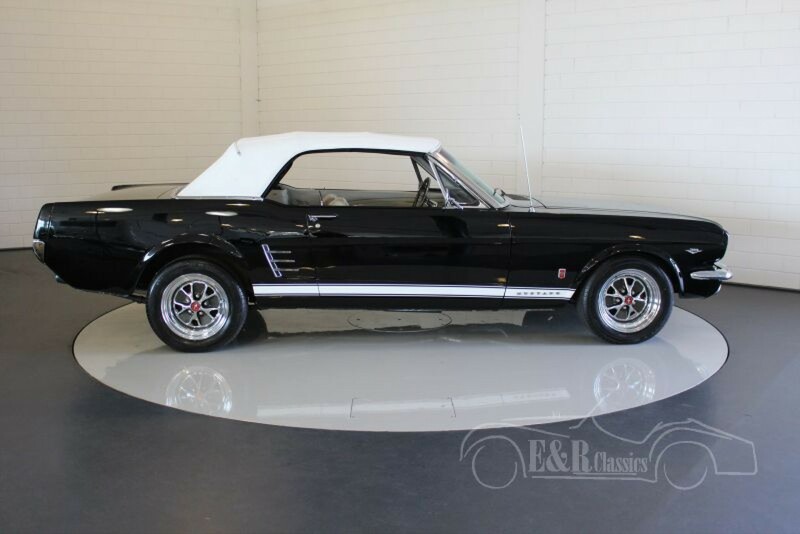 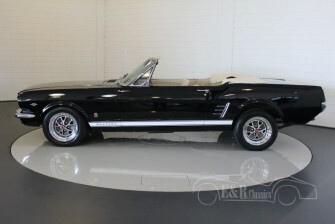 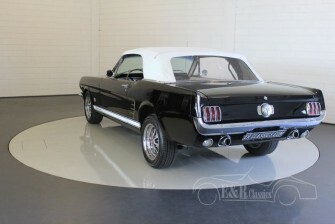 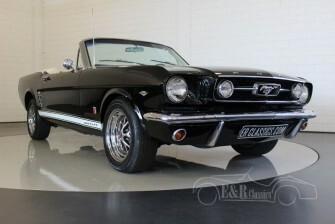 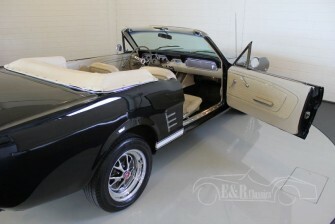 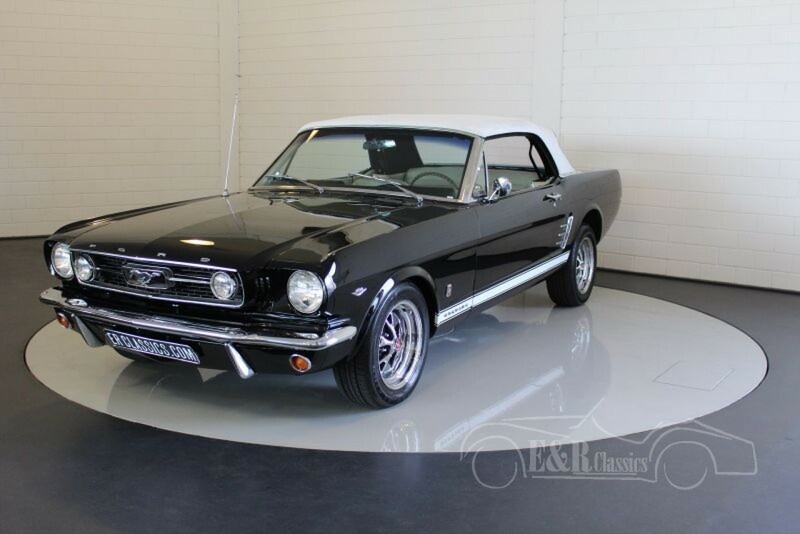 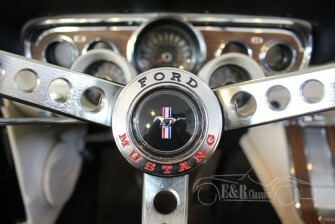 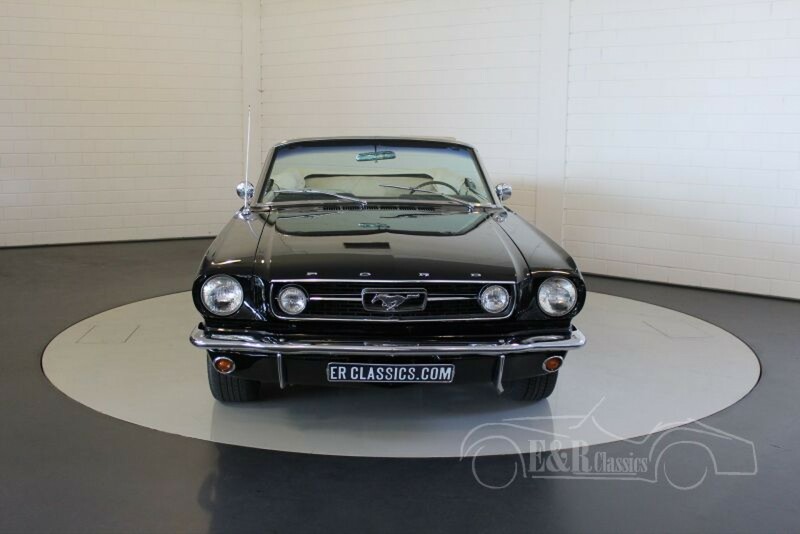 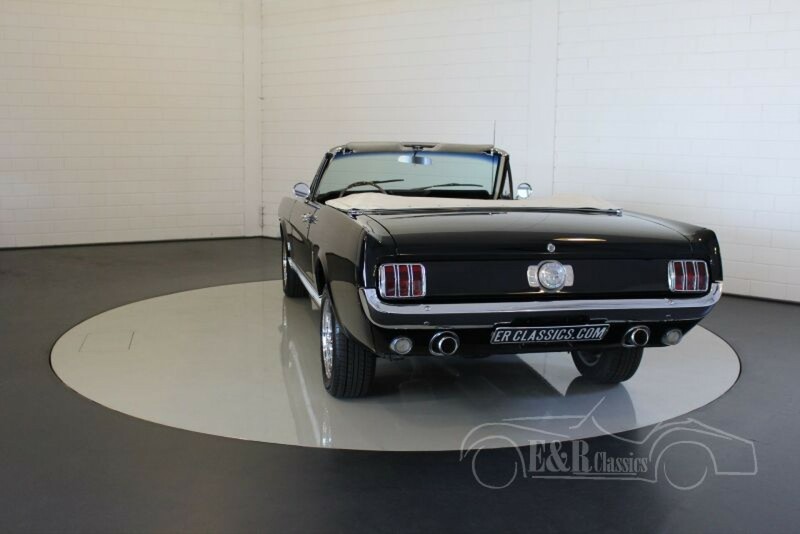 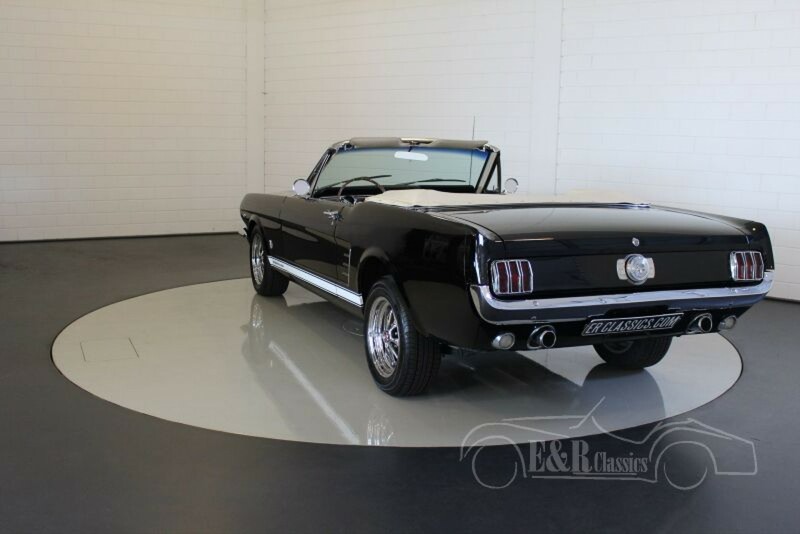 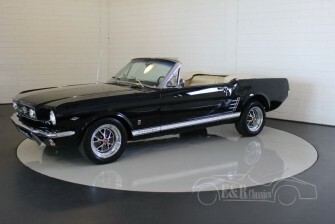 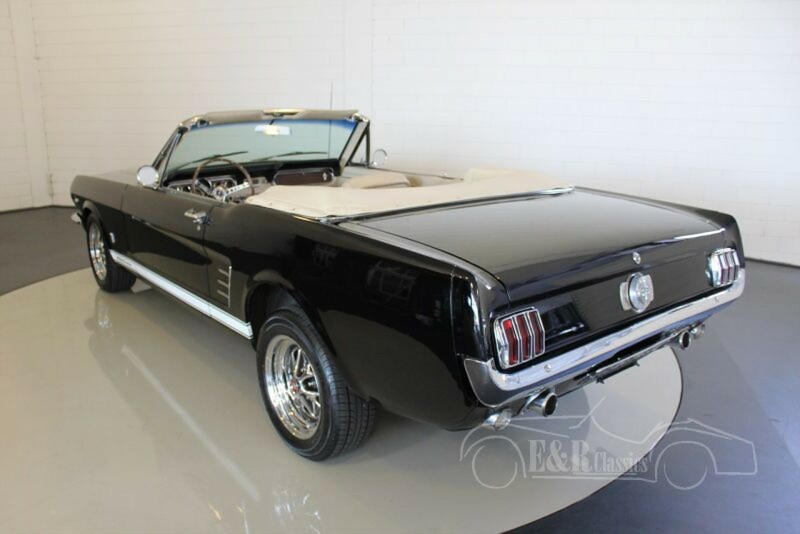 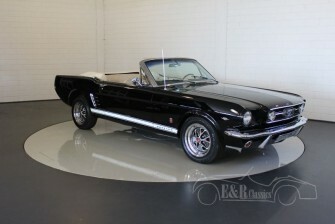 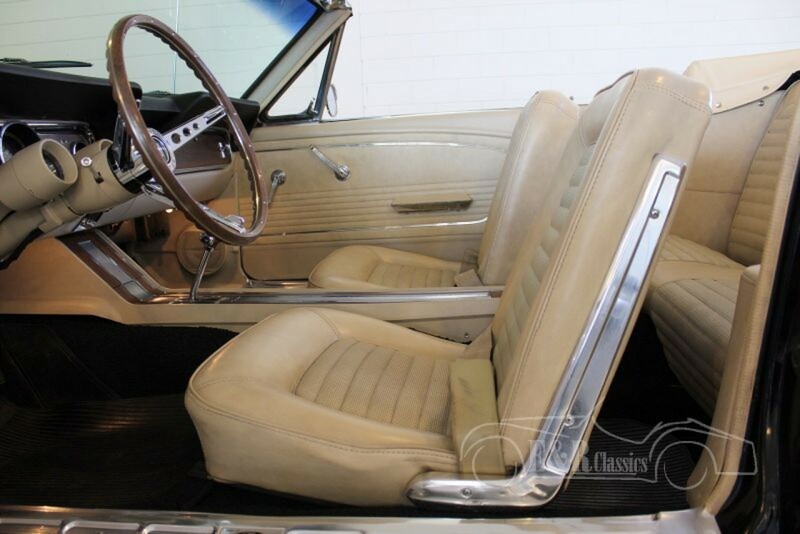 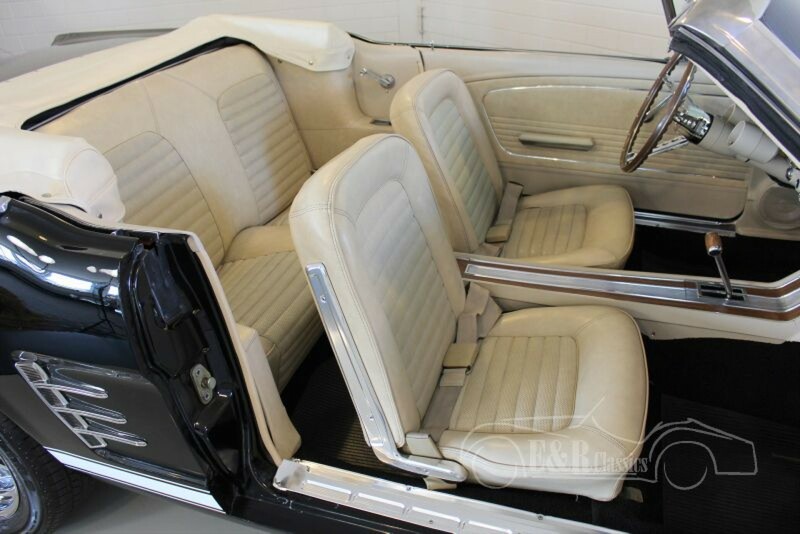 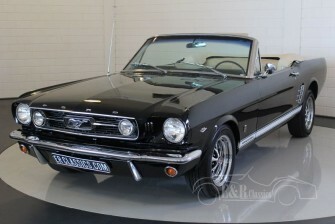 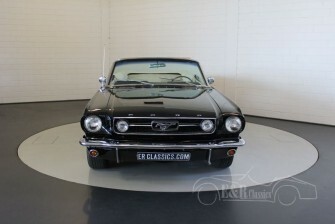 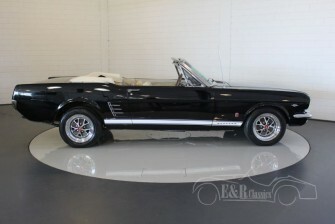 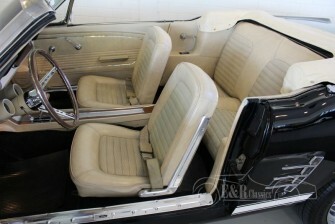 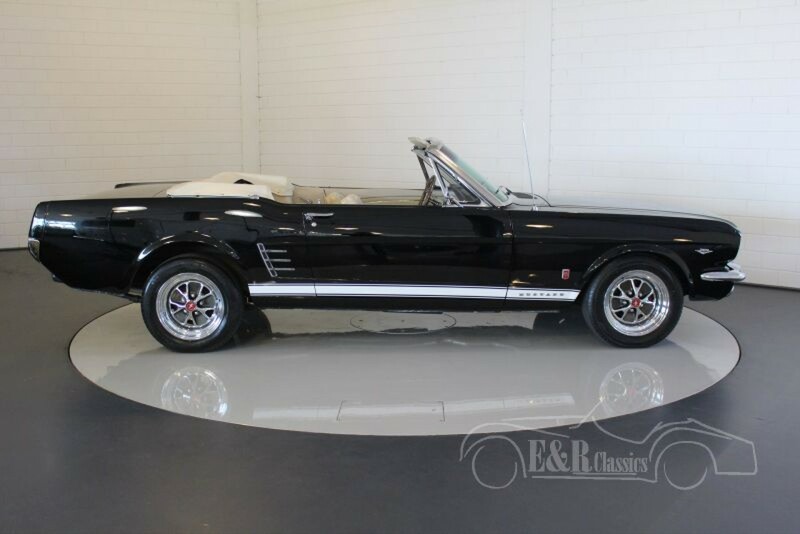 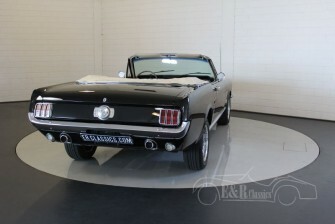 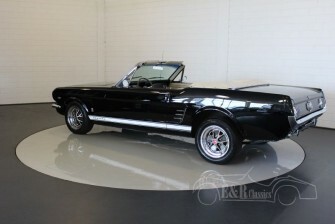 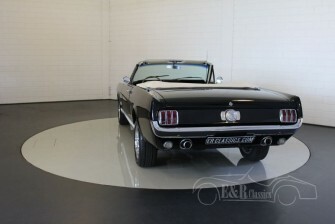 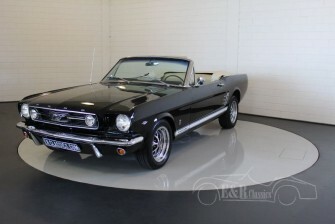 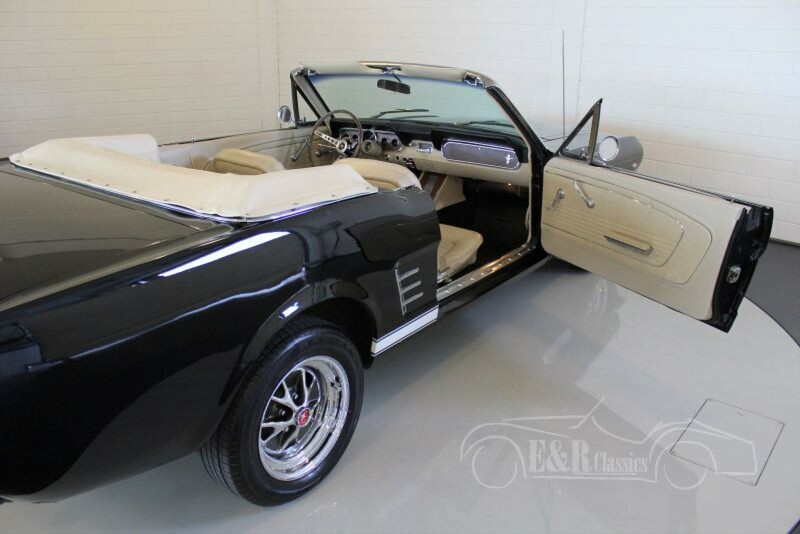 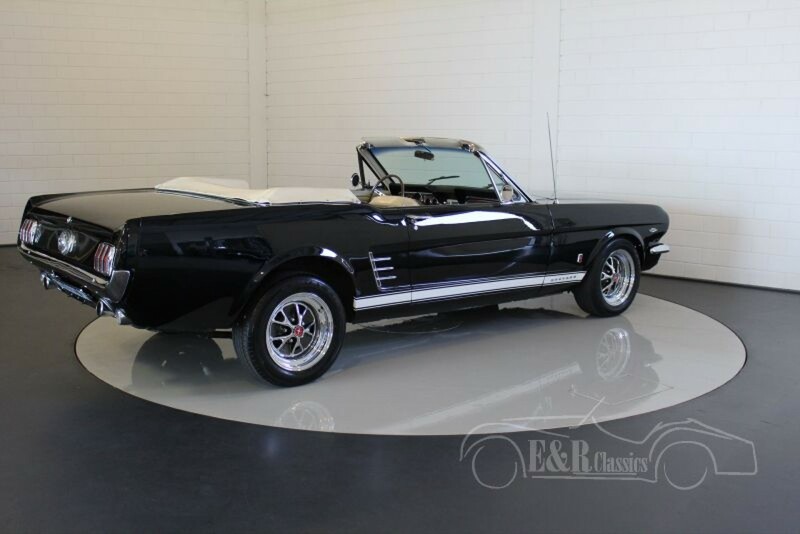 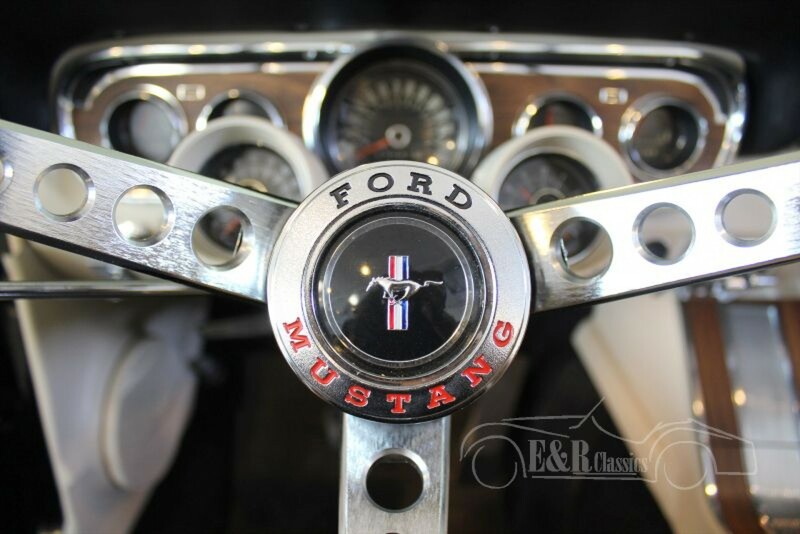 This beautiful Ford Mustang convertible was delivered then, in 1966 with the original GT-package. 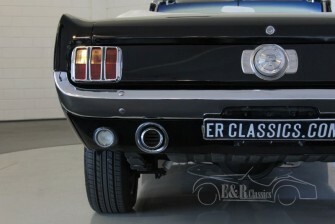 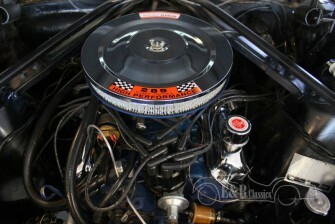 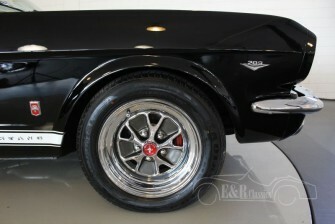 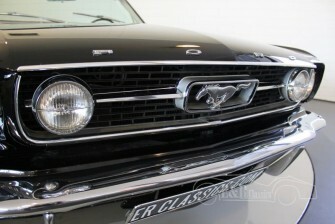 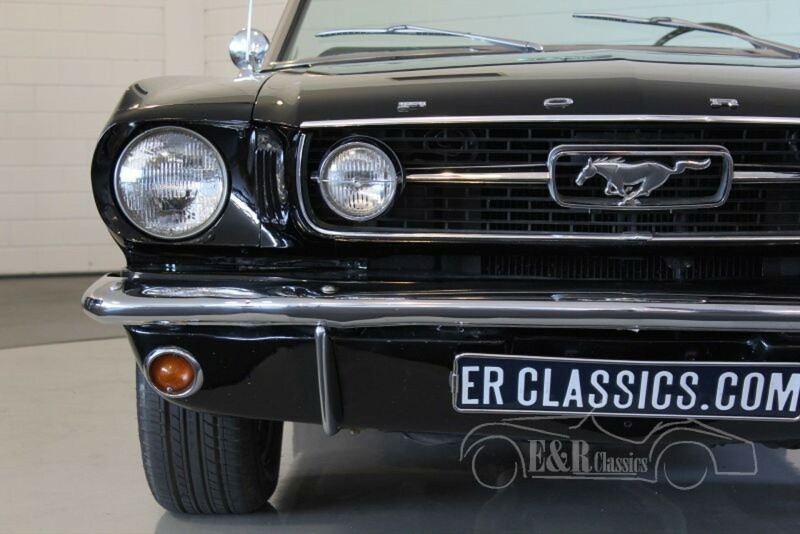 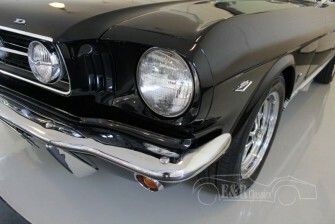 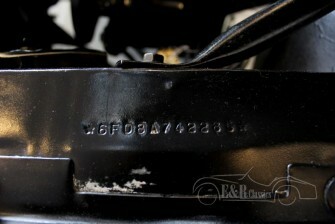 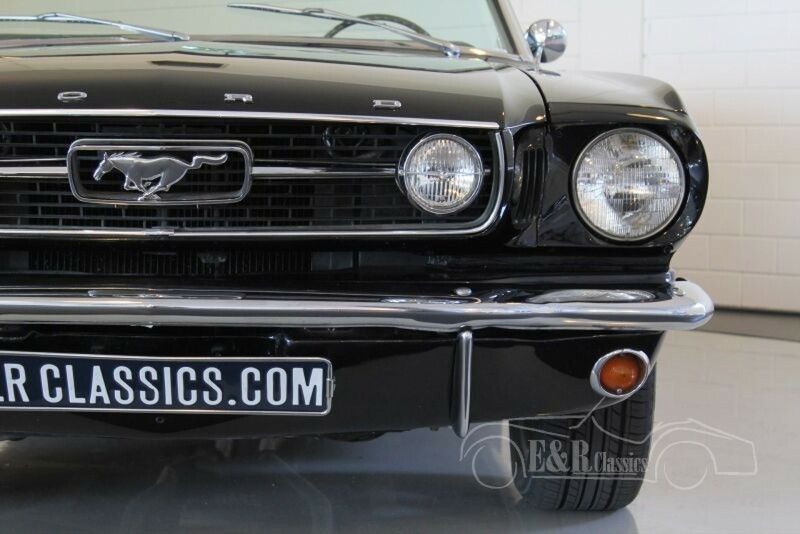 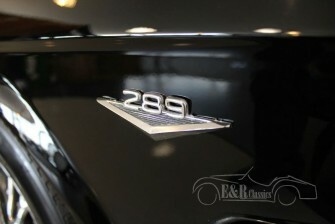 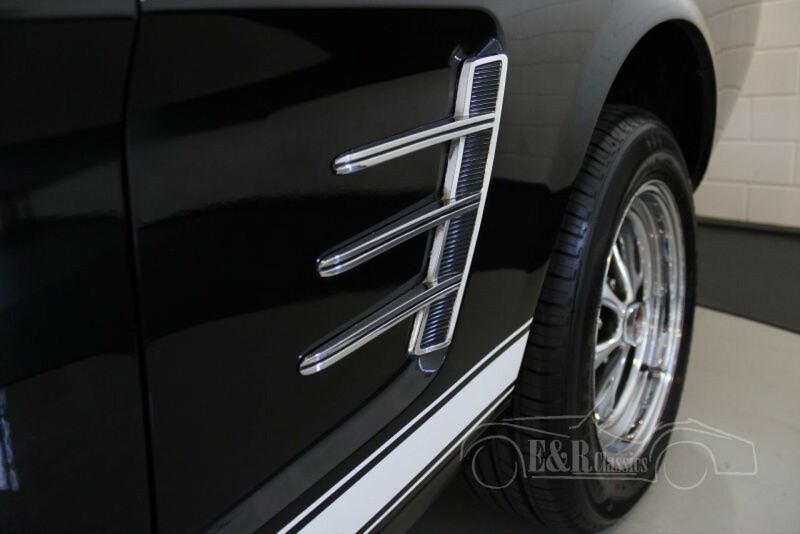 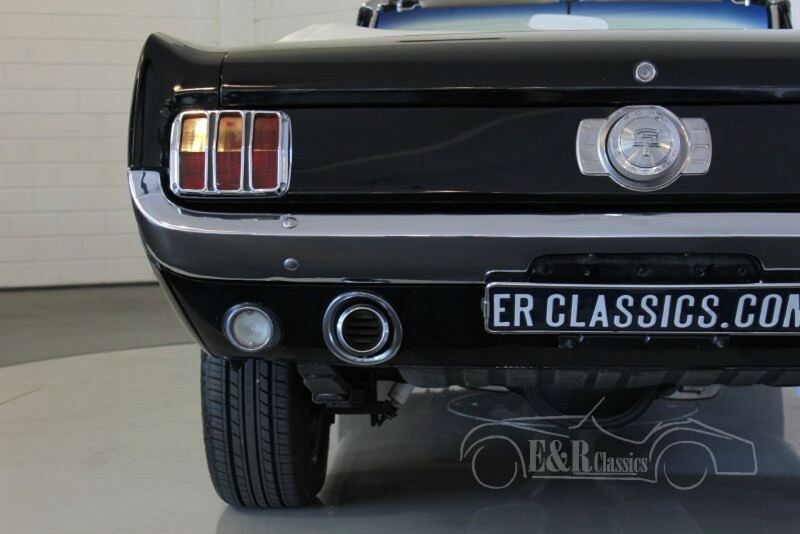 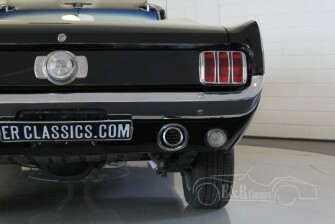 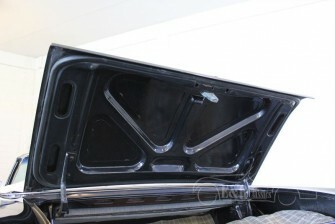 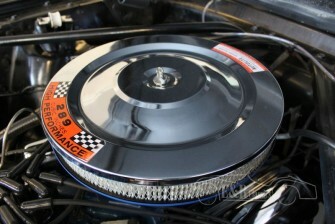 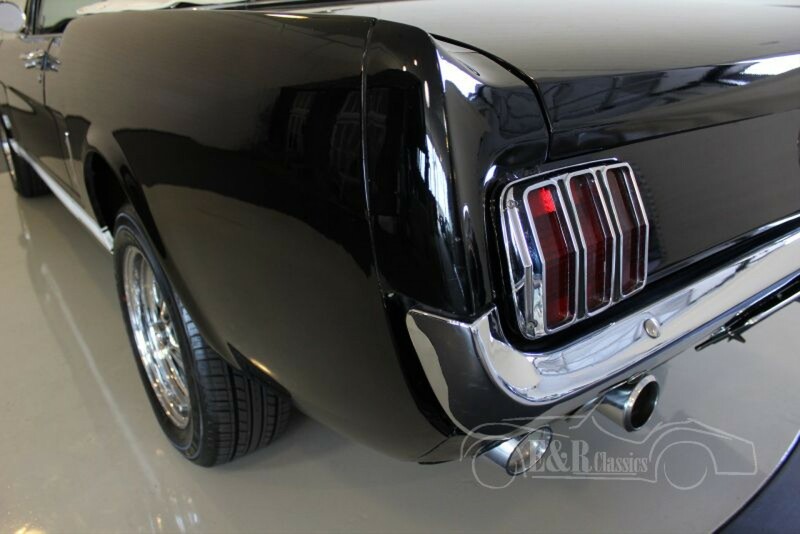 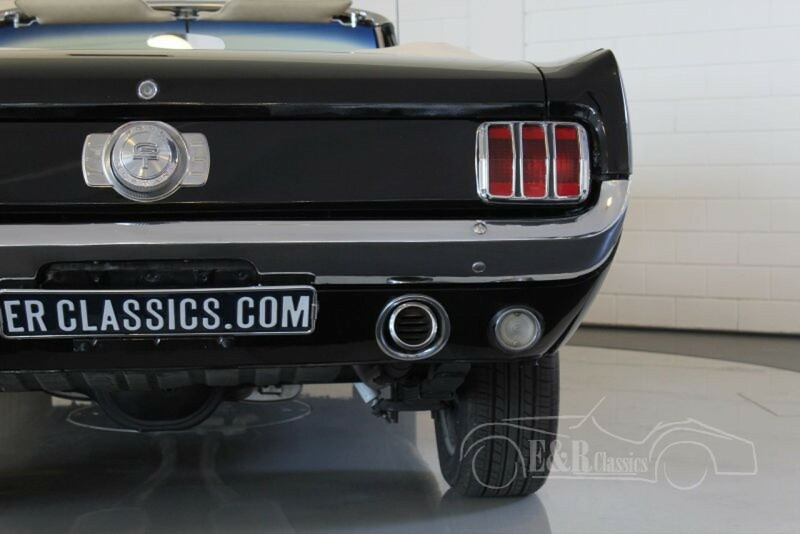 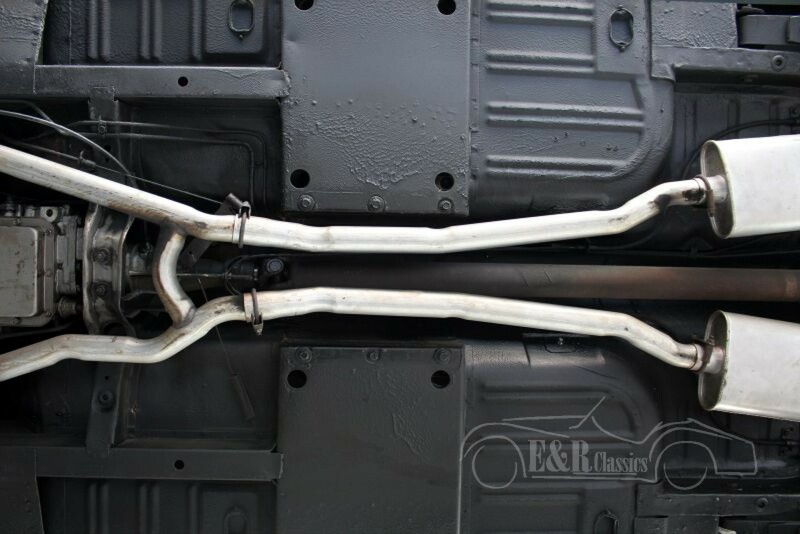 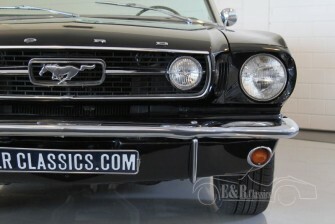 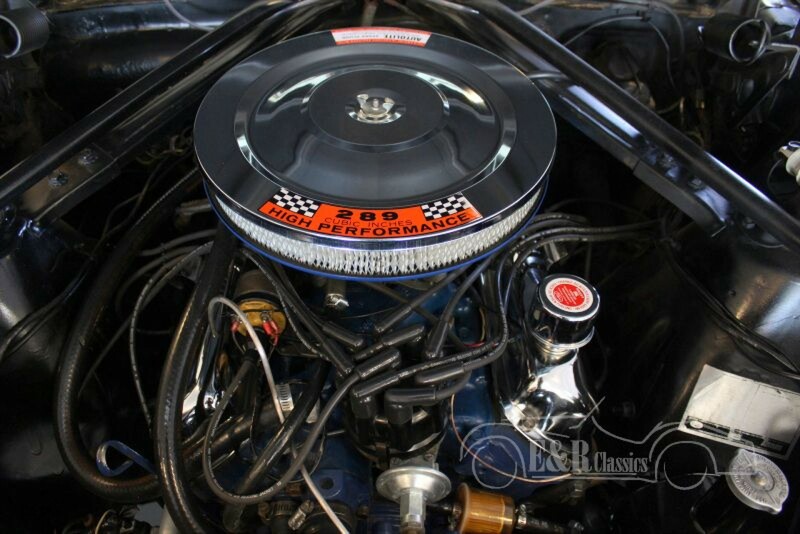 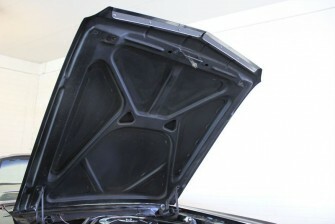 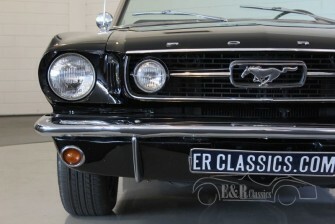 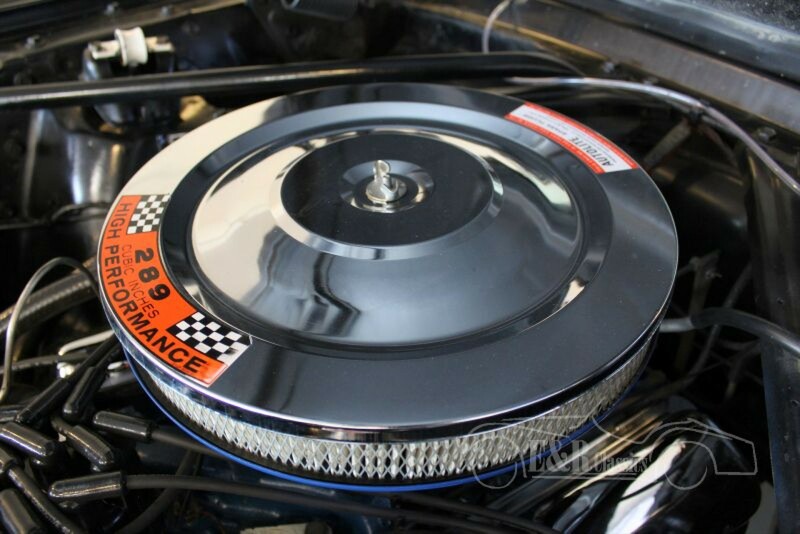 The Mustang has a Raven Black paint with fog lights in the grille and several GT details. 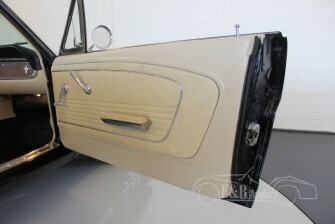 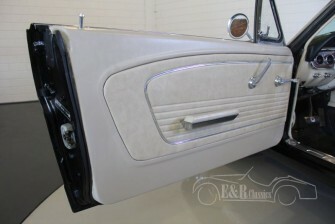 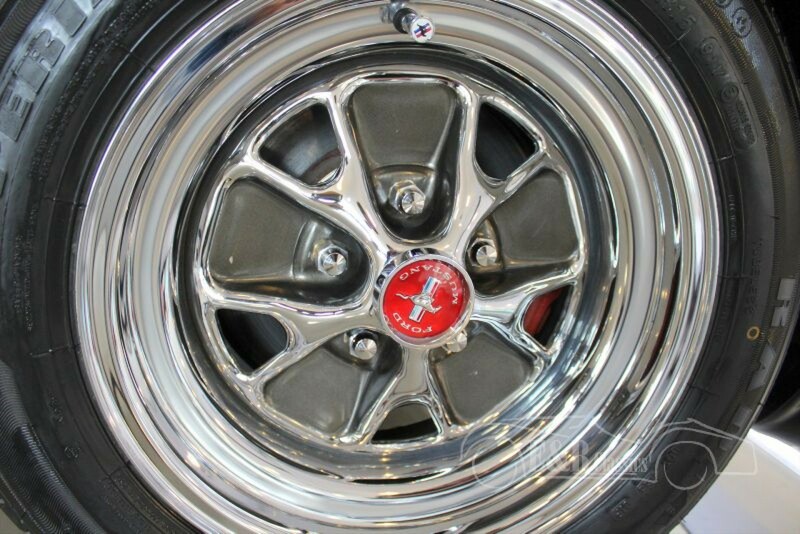 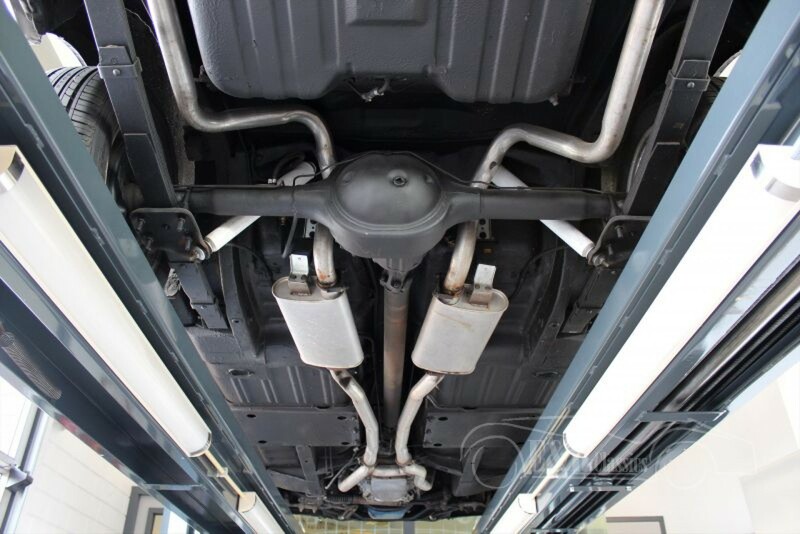 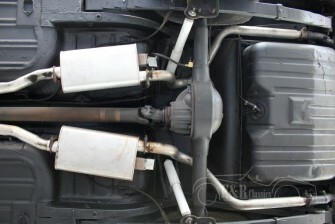 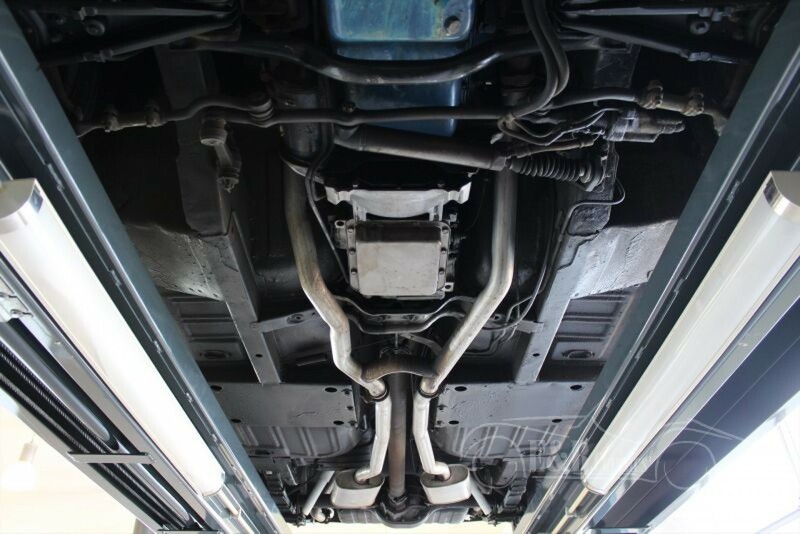 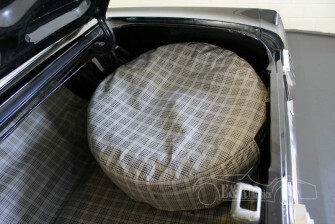 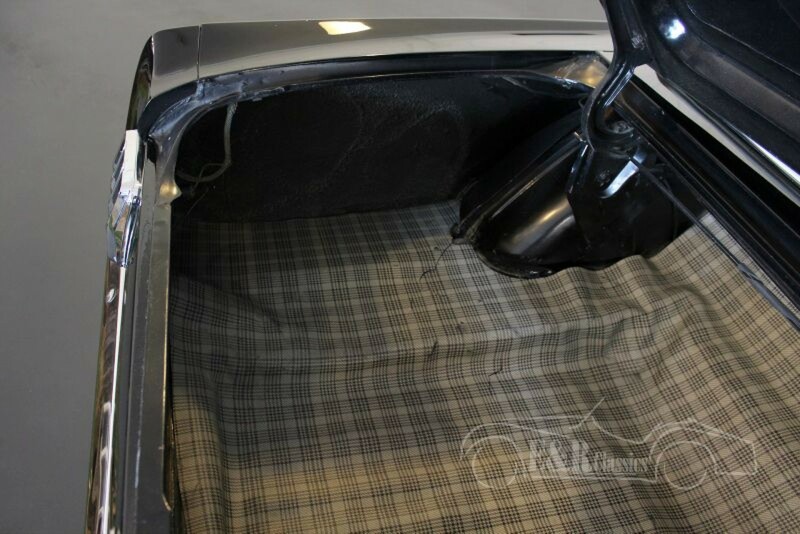 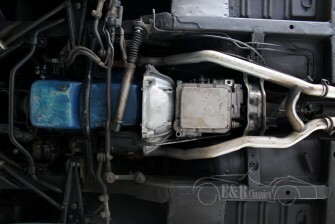 The bottom of the Ford and has never been welded before and is in fully original condition, very unique. 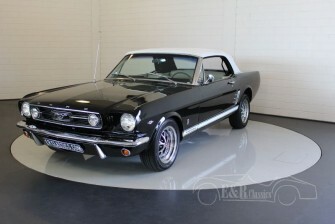 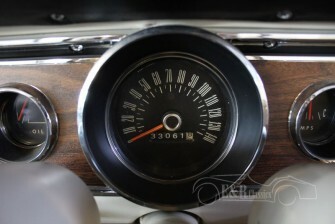 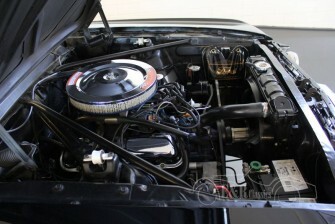 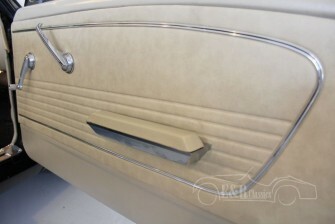 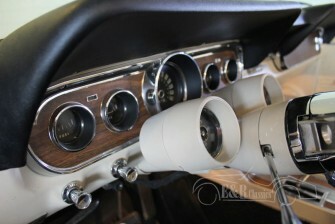 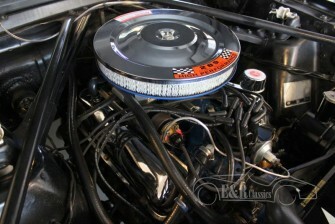 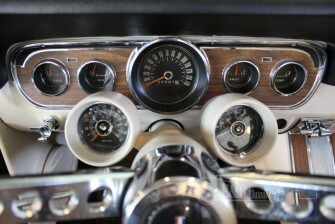 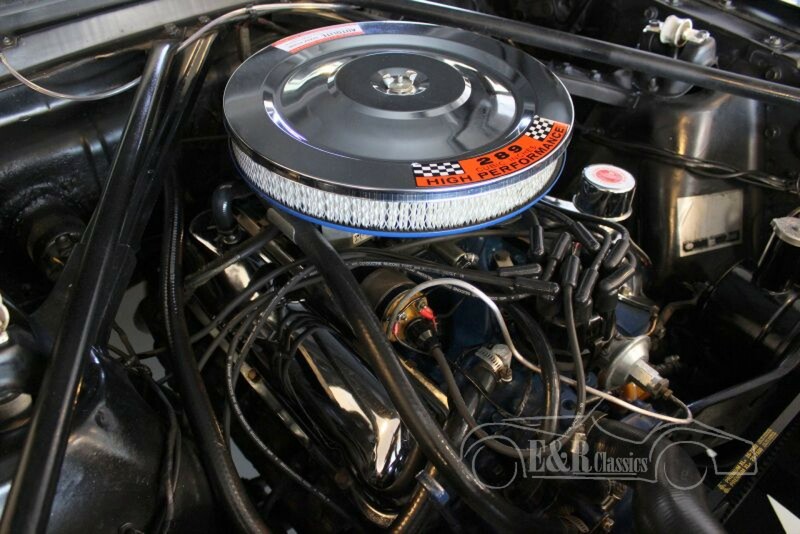 The car has the original A code V8 engine and drives great. 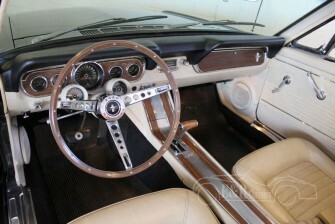 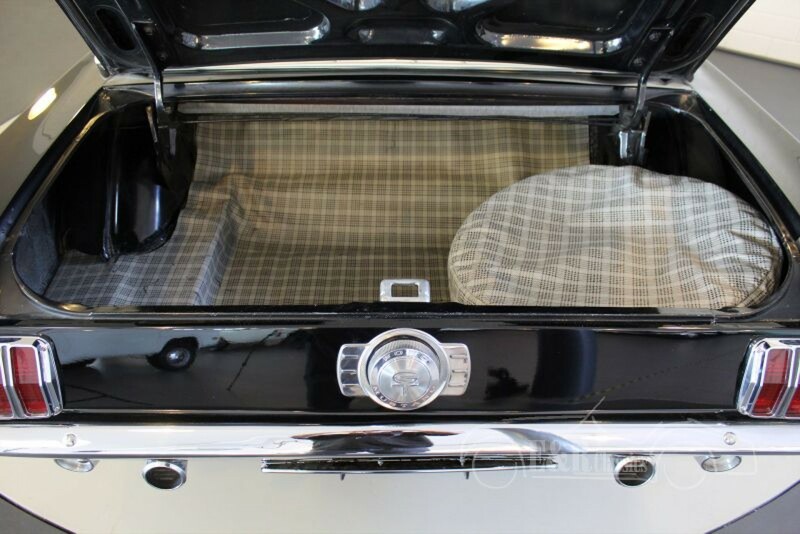 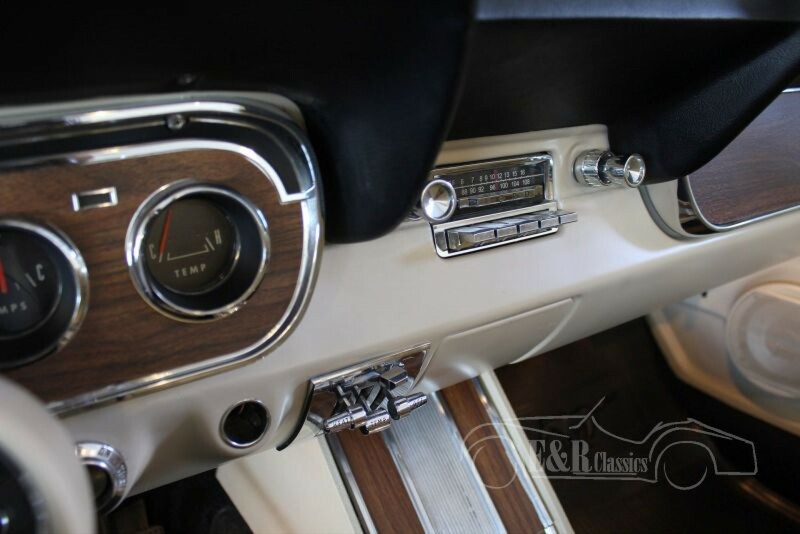 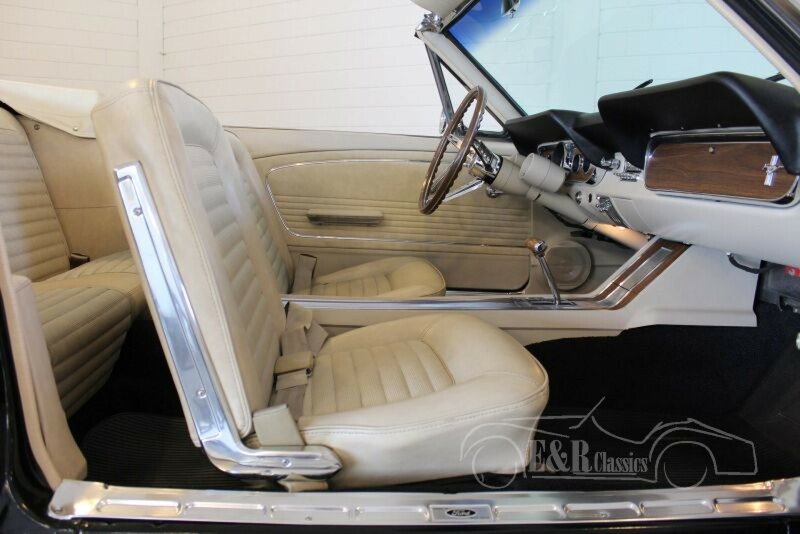 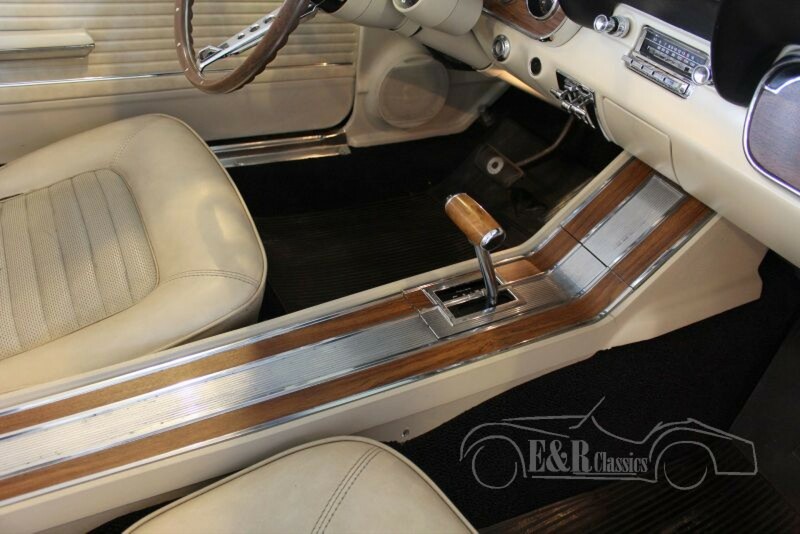 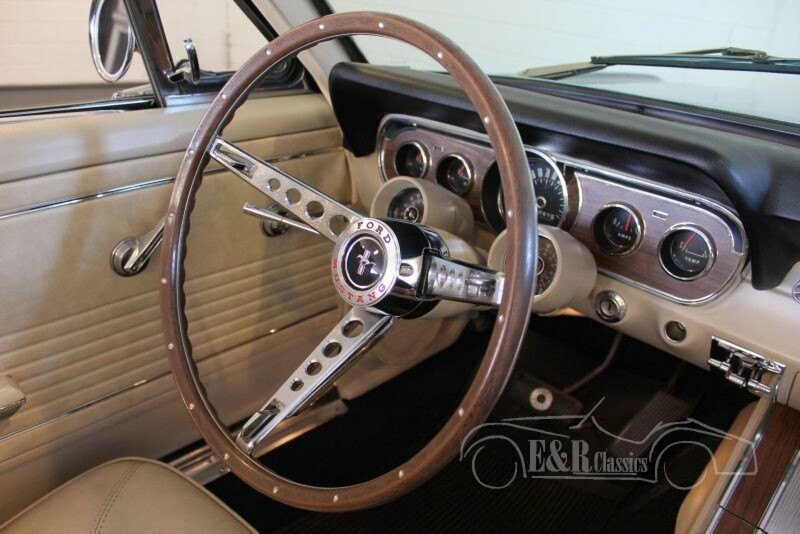 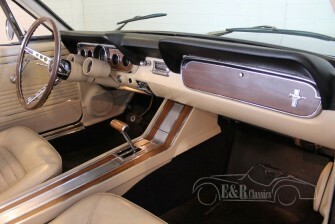 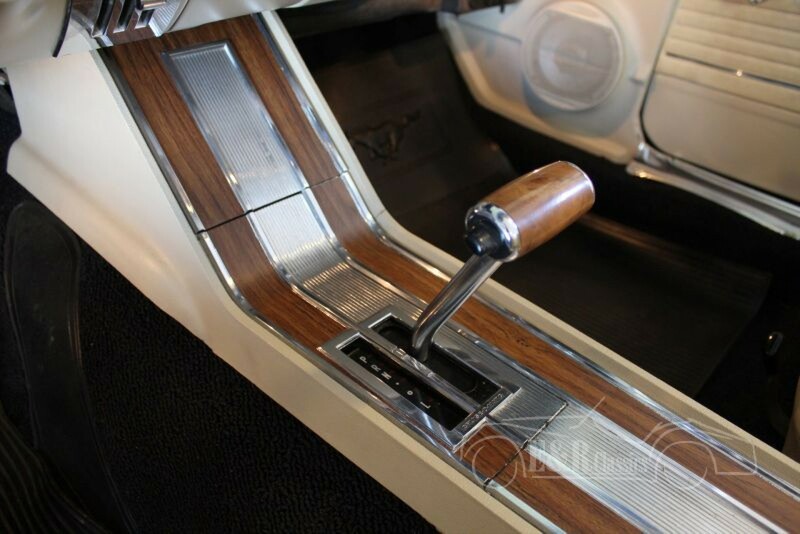 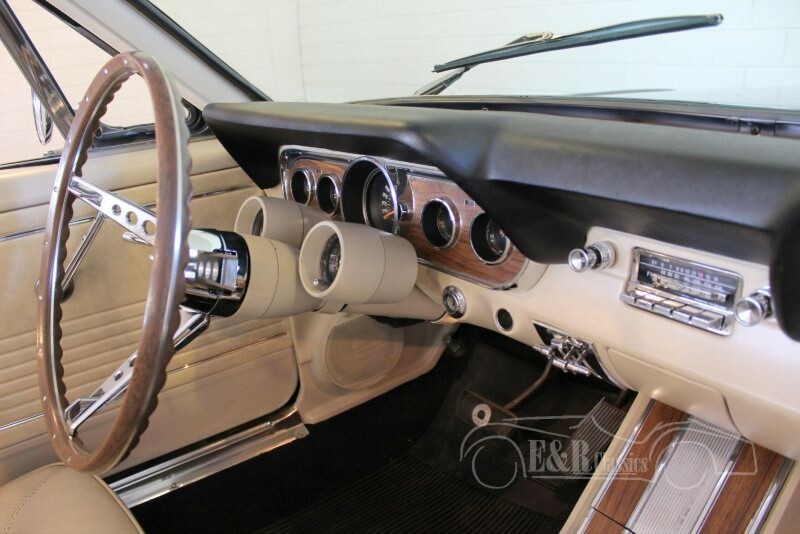 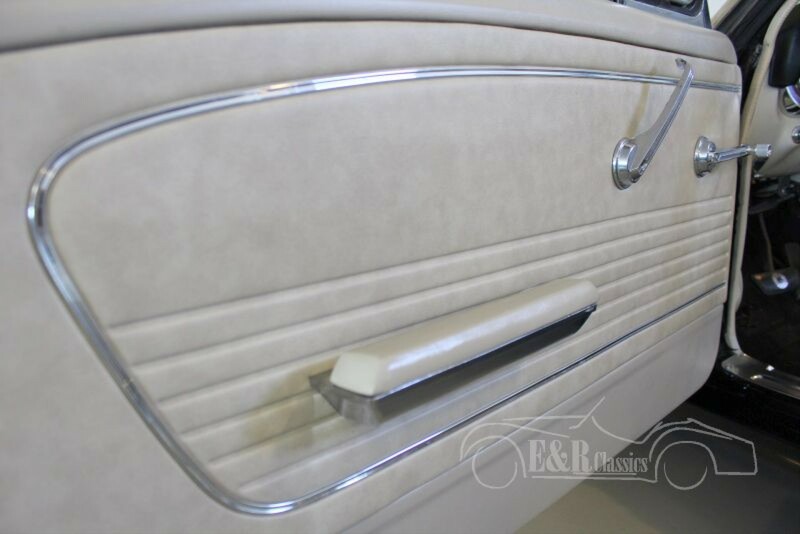 The fabulous interior has beige leatherette and the original Deluxe interior with wood details and the original GT Rally-pac clocks. 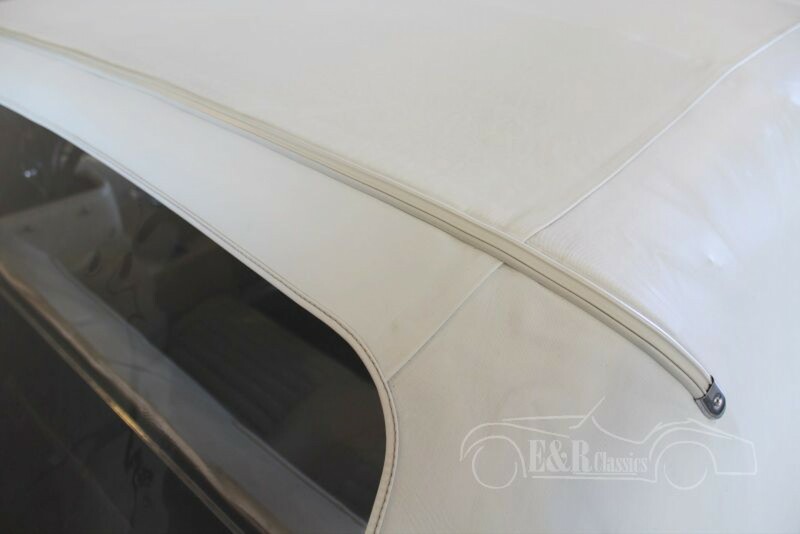 From the inside out the powertop is easy to handle. 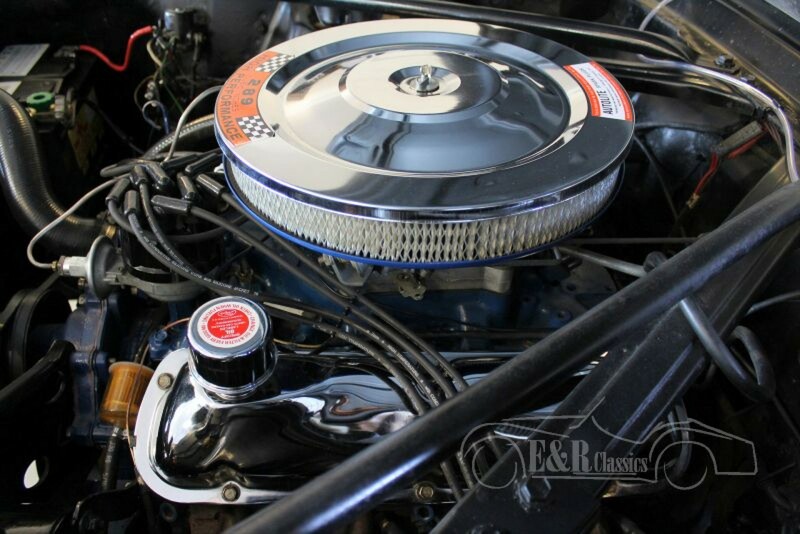 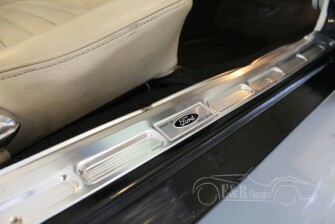 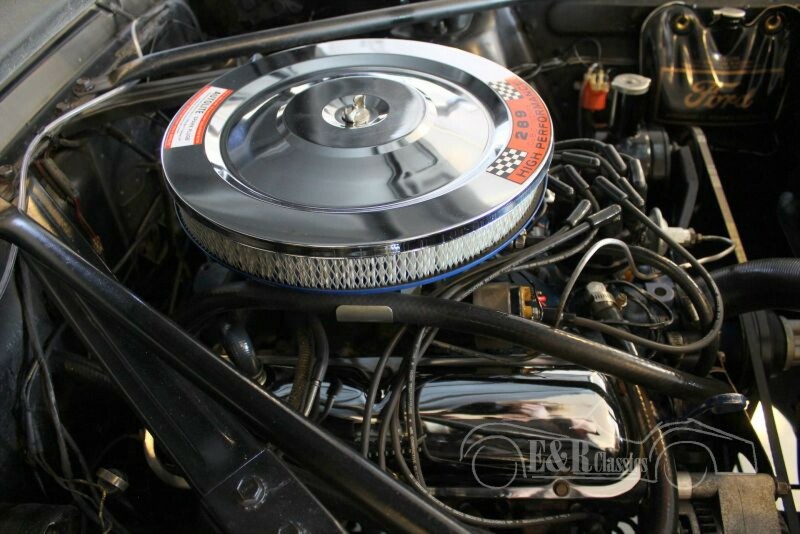 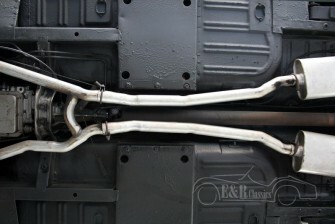 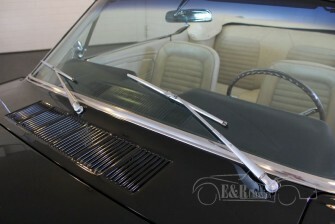 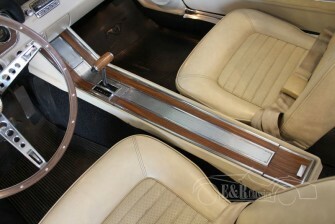 The Ford also has the optional power steering. 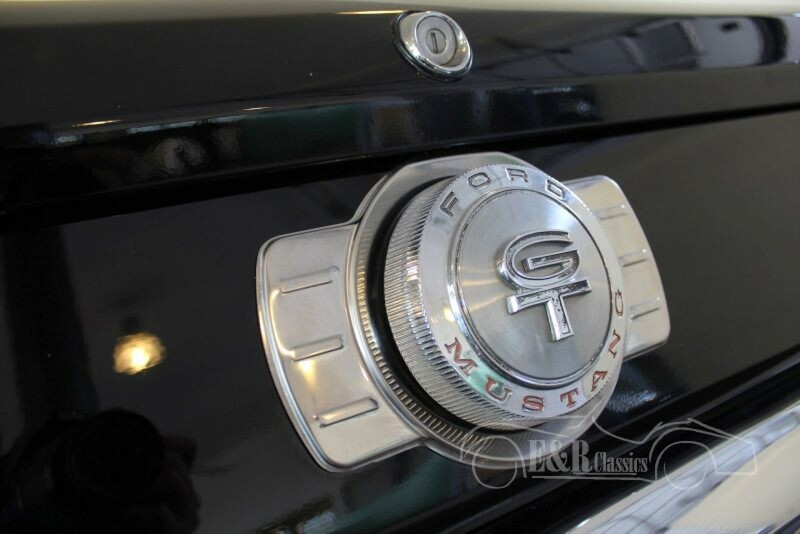 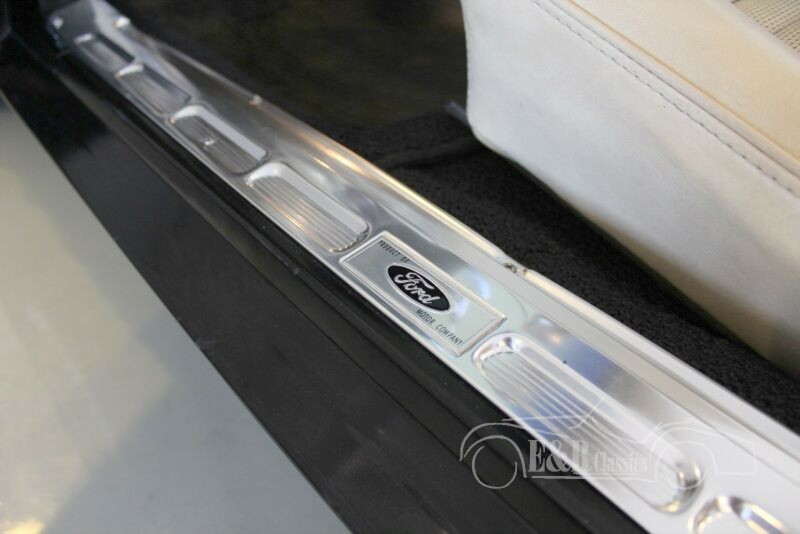 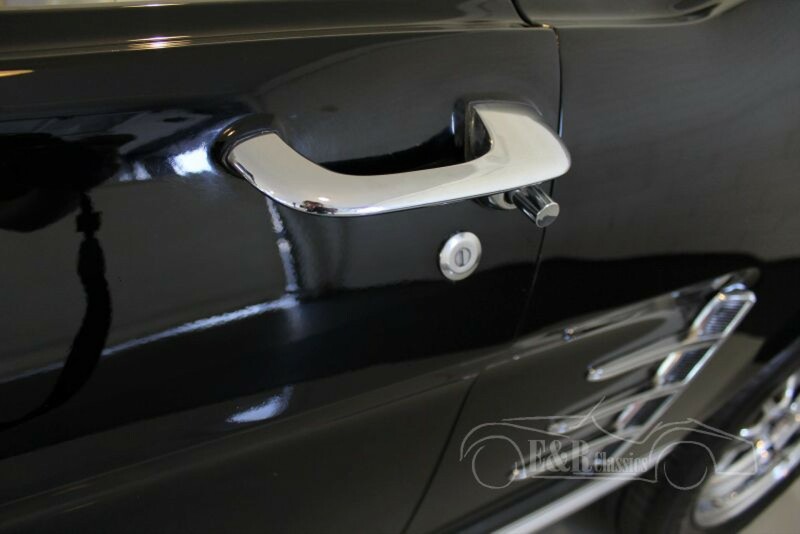 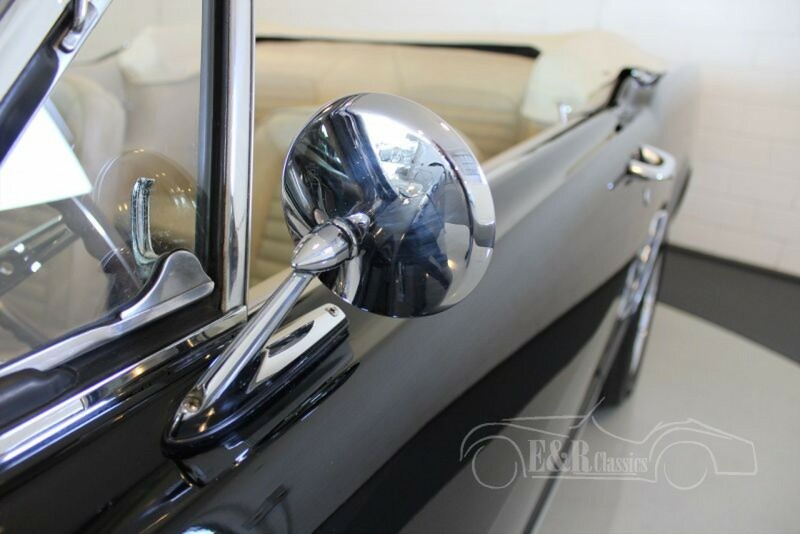 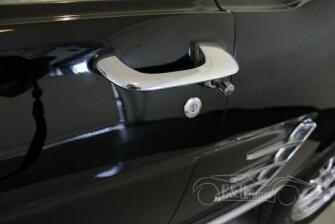 This Ford offers a great driving experience and is a fabulous appearance.